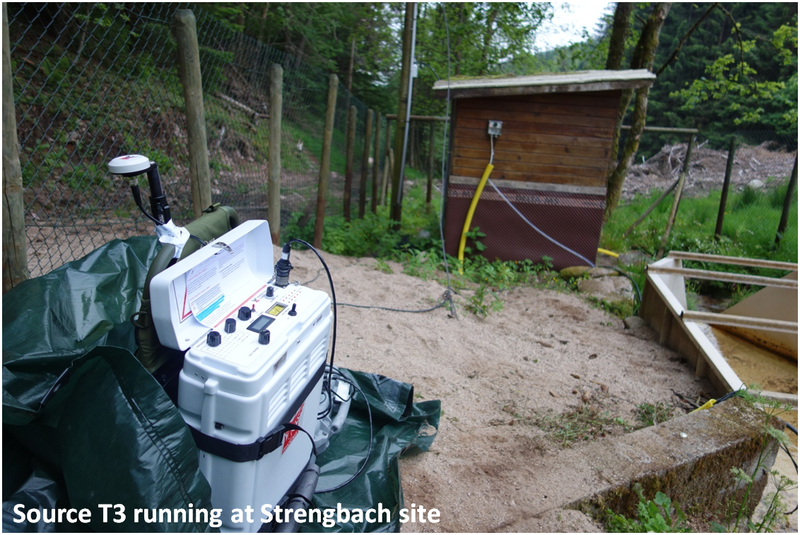 Electrical properties provide “proxies” for hydrogeological properties of the subsurface: For instance conduction parameters (electrical conductivity or its reverse the electrical resistivity), are related to pore structure and ionic content of infiltrated soil water in the subsurface. Linked to hydrogeology parameters like permeability and water content of porous media, they contribute to the modeling of soils and water catchments. Electrical conductivity is often used in ground water studies through the geophysical imaging methods that uses continuous current injection (called either DC, ERT or ERI). Besides, it can be imaged using several electromagnetic induction methods. Especially the electromagnetic methods working within the audio frequency band (AMT) allow investigation depths from tens to hundreds of metres. AMT is a passive method conditioned by natural magnetic activity and limited by anthropic noise. It generally works only using receivers (magnetic and electric measurements) and allow to image at greater depths than those of the ERT whose standard device commonly used correspond to maximum investigation depths of about twenty meters. 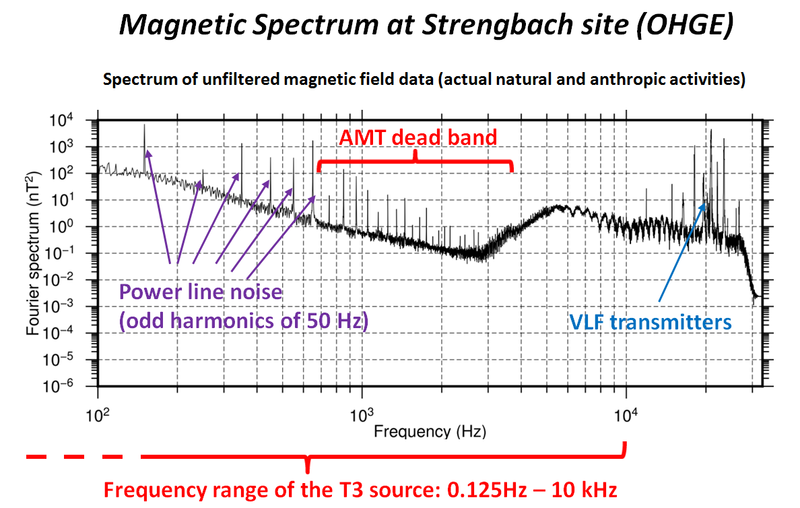 In practice however, natural magnetic activity is rather low in certain frequency domains, in particular close to one kHz (so called AMT dead band); therefore the use of a controlled artificial transmitter makes it possible to fill the full spectrum in areas of low natural magnetic activity or close to noisy anthropic environments. In this case, the method is called “CSAMT” (for “Controled Source Audio Magneto-Tellurics”). These instruments will contribute to improve the study of watersheds and deep water exchanges. They already take part in two ANR projects, Hydrocriszto and Hydroslide, respectively on the Strengbach catchment aquifer (OHGE, 75 km from Strasbourg), the Pégairolles slow landslide (60 km from Montpellier), as well as Séchilienne landslide (30 km from Grenoble). 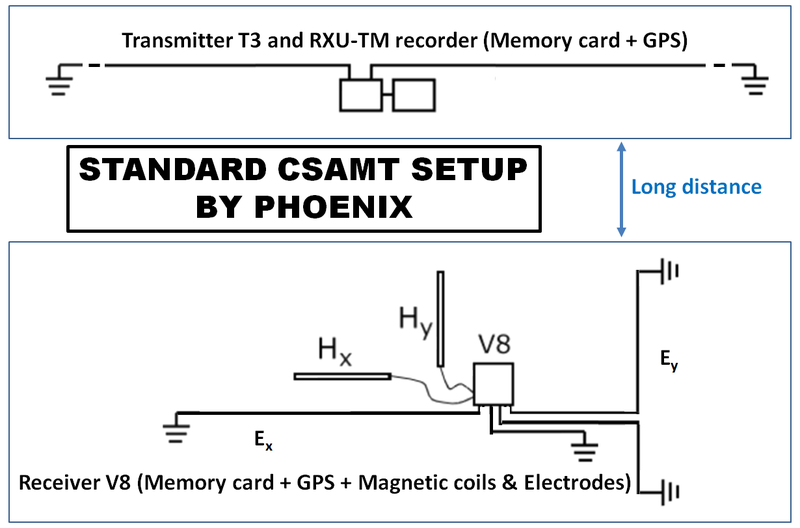 The T3 transmitter with receiver V8 manufactured by Phoenix was acquired by CRITEX in the framework of WP6.5. It has GPS synchronization and can be used together with other modern electromagnetic acquisition systems like the ADU07 by Metronix belonging to INSU “parc MT”. It is able to generate current at different frequencies in the range of 125 mHz – 10 kHz; basically, it can be used either for frequency domain or transient domain electromagnetic methods (FEM or TEM) as well as spectral Induced Polarization (SIP). The software bought by CRITEX in the framework of WP6.5 is dedicated to AMT and CSAMT acquisitions; the extension acquisition software for SIP will be bought in the framework of WP6.4. 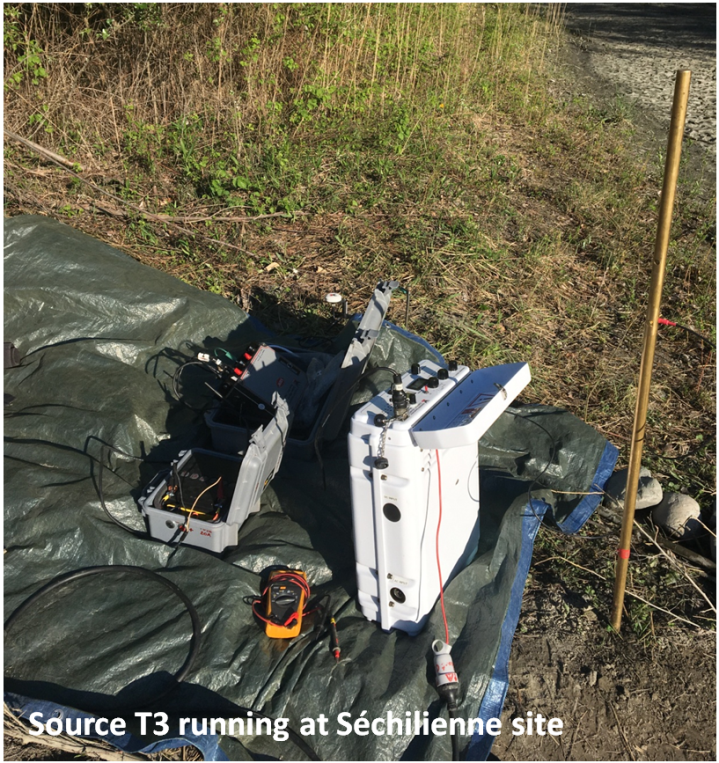 Tests and first applications have been conducted at the Strengbach site (OHGE, “Observatoire Hydro-Géochimique de l’Environnement”). There, high frequencies > 5 kHz correspond to penetration depths similar to those of standard ERT devices, between 1 to 20 metres; exploring the “dead band” near 1 kHz is needed to have a sensitivity to areas of water transfer inside the hills. Applications to other sites are also considered, for instance on landslides of Pégairolles (near Montpellier) and Séchilienne (near Grenoble). The WP6.5 working group is interested in the development of acquisition setup using the Phoenix T3 source to adapt it to the study and monitoring of watersheds. 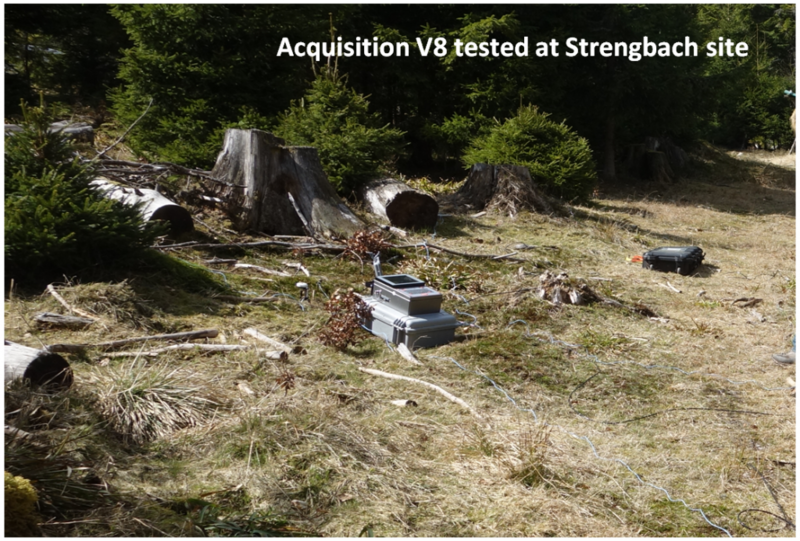 We consider classical CSAMT whose set up involves a far transmitter location; we also test unconventional configurations belonging to the more general case of FEM or CSEM methods which might appear to be more convenient for applications to catchment scales.